Setting up your Mac Hardware Bundle – How can we help? Before you get started you'll first need to make sure you have all the peripherals needed for setting up your hardware on your Mac. A specialised cash drawer cable. This is similar looking to an ethernet cable but is smaller on one end. Note: These cables should come included with your receipt printer and cash drawer. Make sure you've got your receipt rolls for your printer ready to go. To load your receipt roll open the latch on the top right of the printer, place the roll inside and pull some of the paper through before closing the lid. Once you've taken stock of these peripherals follow the guide below to get everything setup. Looking to set up a Socket Mobile Bluetooth Scanner? Click here. First things first, you'll want to set up your Honeywell 1450G USB scanner. This is super easy and should work straight out of the box. Simply plug in the USB into the computer and the scanner will install automatically. To test that it's all ready to go, open up a notepad or word processing application and scan in a barcode. You should see the barcode number appear here. If this hasn't scanned wait a minute and try it again. If it still hasn't scanned after waiting, unplug the scanner and try and plug it in to a different USB port in your computer. Press and hold the small power button until the LED turns blue, and it beeps twice (it will beep low and then high). Your Socket barcode scanner is now powered on. Click the Bluetooth 'B' icon on the top right of your computer and select 'Open Bluetooth Preferences'. This will open a window that will search for your scanner. Once it's been detected, click the pair button. Your Socket Mobile should now be all setup! To test that it's connected, open up a notepad or word processing application and scan in a barcode. You should see the barcode number appear here. 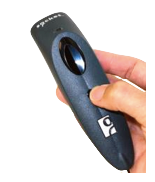 For more help using the Socket Mobile Bluetooth Barcode scanner, check out Socket Mobile's user manual here. Before getting started, it's a good idea to test out the printer. We'll also need the test receipts for setting up the printer. Release the feed button. This will print out two test receipts. 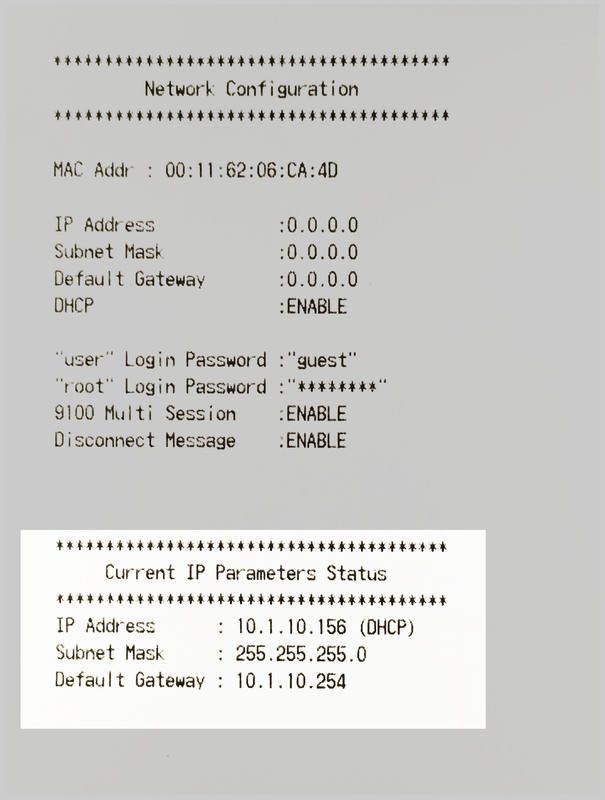 At the bottom of the second page, it will show 'Current IP Parameters Status'. Hang on to this page or make a note of the IP Address. Next select Drivers and pick 'futurePRNT V6.0 Lite' under Recommended to download the driver. When this download is completed, open the file to extract it. Checkpoint: Not sure where to find the download? Go to finder and select 'Downloads' from he left hand list. The download will also appear at the bottom of Google Chrome, click the arrow here and select show in folder. 3. Next, open the extracted folder and navigate to Mac -> CUPS -> Documents and double click the 'starcupsdrv' file. This will create a new folder. Open this and and go to drivers. Double click the .pkg file here and follow the install guide instructions. Now that this is complete we'll need to install the printer on your Mac. 1. 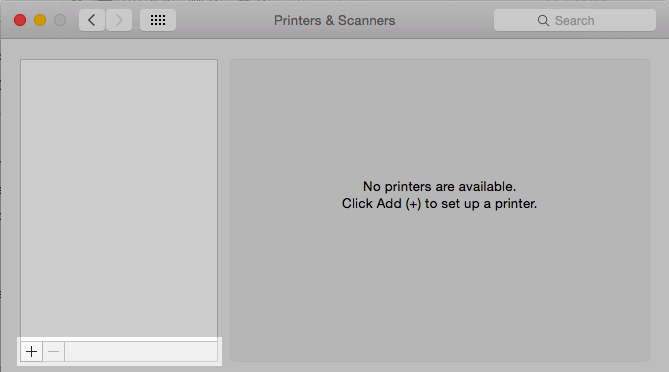 Navigate to 'System Preferences' and open 'Printers and Scanners'. 2. Here, use the plus in the botton left corner and click “add printer or scanner”. 4. Name: This is an optional field but if you'd like to customise the name of your receipt put it in here. 6. Use: Pick 'Select Software...' from the dropdown. This will open up a new window. Search for Star in the top right, locate 'Star TSP100 Cutter' and click OK.
Once you've put in all this information click 'Add'. Your printer should now be set up and ready to go! Now that your Star is installed you can start using it to print your receipts in Vend. Head over to the History tab and click on a sale. Pick the receipt template you’d like to use and click 'print'. This will take you to the print preview screen. 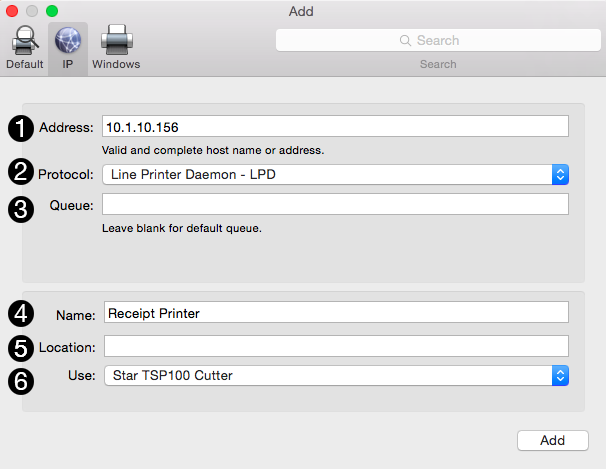 If the Star is not your default printer, click 'change' and select the printer from the list. You will also want to untick headers and footers and set the paper size to 72mm - 2000mm. Once that's been changed you should be able to print out a receipt. Once you've got the printer all set up, you can connect up the cash drawer. The cash drawer connects to your receipt printer, and is triggered to open when you finish a cash or cheque sale and the receipt is printed by the printer. Tip: You can manually open the cash drawer by clicking Command + E if you are using the old Vend Sell Screen or by performing a test sale if you are using Register for Mac. 2. Head to the following URL: http://localhost:631/printers/. This will take you to CUPS. CUPS is a network printing service used by Mac computers. 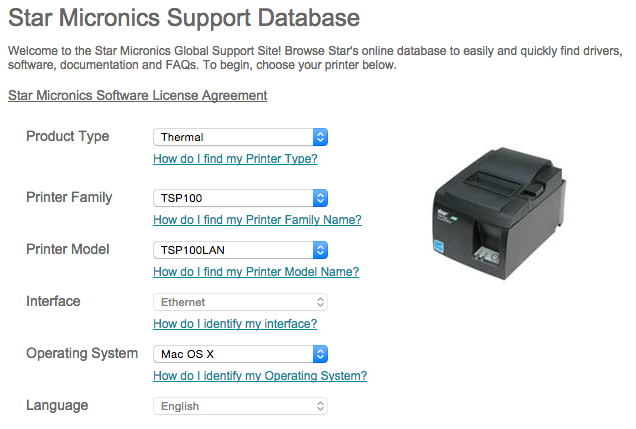 It allows you to setup your printers on a network, and customise options such as cash drawer setup. Recieve this screen? Click here to learn how to enable CUPS for your computer. Your cash drawer should now be all set to go! You can test it out by clicking Command + E on your keyboard when in the old Vend Sell Screen or by performing a test sale if you are using Register for Mac.